Fresh Coat of Paint: Happy Monday! How was your weekend? Did you get one? Ours flew by with Corey working on the bathroom and me just... working. We did start the process of booking our honeymoon, which is really exciting! I can't wait to share our plans with you guys. 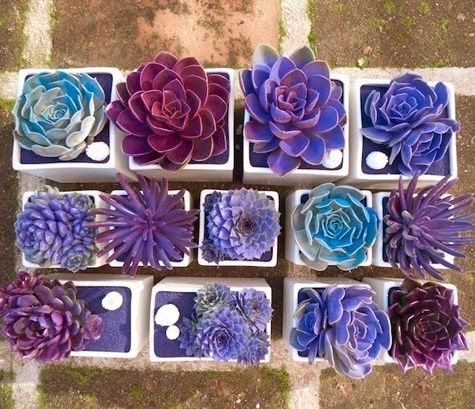 The photo (above) was sent to me via Pinterest by my friend Miranda who knows how much I love succulents. Isn't it a cute idea? I would love to try this easy DIY. Are you depressed about not making enough money? Here's a fresh perspective on how much money you should actually be making. Tomorrow is April Fools! Do you have any pranks planned? I want to try these 3 Ingredient Recipes. I've posted this to Facebook before, but this guy just cracks me up! Have you read this theory about the Missing Malaysia Airlines Jet? This is a crazy way to think about your family. Do you know how dogs drink? Is it weird that I want the sushi bazooka? I hope you all have a great week. Thinking of all the my teacher friends who will have to deal with classroom pranks in the morning. ;) Don't pick up that chalk- It's actually toothpaste!! !